It was a normal morning whose sunny charm and crisp stillness seemed to belie the National Weather Service’s dire warnings about the havoc soon to be wrought by an impending storm. Suddenly the clouds darkened, gale-force winds whipped and howled, and torrential rain began falling from the sky in unrelenting sheets. A few hours later, the entire home office was flooded. Normally, this would have caused significant interruptions at the c-store sites and home office, but not for this convenience retail chain. Why? Its data was being stored and monitored in a cloud environment hundreds of miles away. That’s a real-life scenario, and the repercussions of not having a disaster recovery plan are often permanent. According to FEMA, 40 to 60 percent of small businesses that don’t have a recovery plan end up closing their doors after disaster strikes. But disaster recovery is only one reason more and more businesses are looking to migrate to the cloud. An expanding workforce, limited IT resources, outdated equipment and data accessibility issues factor increasingly into the decision. Cloud migration is certainly a hot topic, and as the percent of on-premise workload continues to decline in the coming years, the discussions and articles from its detractors and advocates will likely increase. With so many competing voices in the marketplace, opportunities for misconceptions and misinformation abound. To put it simply, not all cloud providers are created equal. When evaluating your options, here are a few things you should keep in mind. When choosing a cloud provider, it’s important to make sure your package includes unfettered access to the experienced team of technical consultants who maintain your environment. In managing yours and other companies’ cloud environments on a regular basis, these professionals will prove much more adept at quickly performing routine maintenance and updates, as well as troubleshooting and resolving issues as they arise. This type of access is particularly valuable for companies that have limited IT resources, but sometimes it isn’t a standard practice, so be sure to do your research. For companies whose cloud environments are also hosting enterprise resource planning (ERP) applications, your due diligence doesn’t stop there. Here’s why. A typical cloud provider will manage the infrastructure but not necessarily the applications that run on it. That’s a big distinction, especially for convenience retailers whose in-store and home office operations rely on these ERP applications. If that sounds like your company, the best option is to find a cloud provider with technical consultants who have experience managing both the environment and ERP applications specific to your business. Then, make sure it’s included in the package. Second, if your organization relies heavily on a robust ERP system, be sure your cloud provider’s infrastructure is optimized to help maximize your software’s performance. And when it comes to infrastructure design that supports your specific ERP software, not just any provider will do. Many generic providers will insist they can design the environment to meet your software supplier’s requirements, but unless they have a successful track record of supporting a particular ERP solution, don’t take the bait. In this situation, you have two viable alternatives: 1) outsource cloud environment to your ERP software provider if they offer the service, or 2) outsource your cloud environment to a company that regularly partners with your ERP software provider and has a high success rate. If you think backups are an inherent feature of the cloud environment, you’re wrong. But you’re not alone. 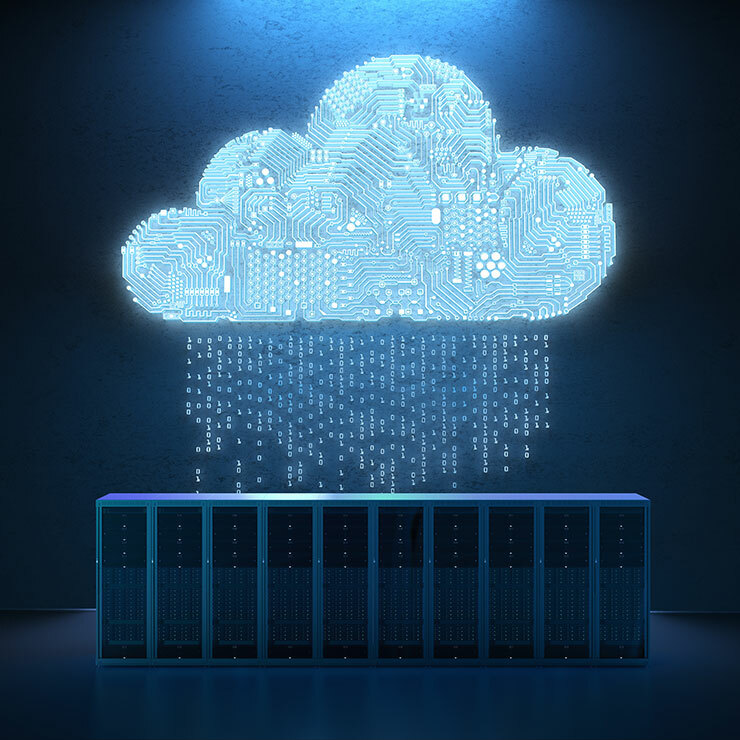 The myth of the automatic cloud backup is a common misconception, but backups are not a standard practice for many providers. For example, if you have data in an Azure or AWS environment, you likely had to negotiate additional backups of your data as part of the signed agreement. Or you have your cloud environment backed up at your home office. On the other hand, some cloud providers do include backups in their agreements. At PDI, backups are included in whatever tier package the customer chooses. Rightscale’s 2018 State of the Cloud report says 81 percent of businesses have a multi-cloud strategy. If you’re thinking about jumping in, now is the time to do it. However, before you make that leap, establish a clear set of expectations at the onset of your search, and choose a provider that satisfies your needs. Did You Know: Your Source for PDI News provided by PDI, the leader in enterprise management software for the convenience retail and petroleum wholesale and logistics markets. Discover how PDI can help you thrive in today’s digital economy.